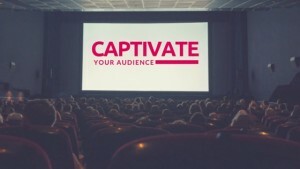 Home/SEO/Captivate your audience with your content – What’s the secret? Not all are able to write interesting content which has the ability to captivate their audience. But that doesn’t mean that writing such content is tough or impossible. You can even grab the attention of your audience and build a lasting connection with them so that they come back to you again and again. Writing cheap content would not only discourage your audience but it would also cause harm to your website’s search engine ranking. Now that all the algorithm updates stress of the vitality of content, it is better to know how you can captivate your audience with your content. Here are some tips to take into account. Comprehend the requirements of the audience: Remember that empathy is like superpower. When you can feel the needs of the people and you can cater to their needs, you will be famous among them. You have to create that spark of connection with the person whom you’re empathising. You have to create personas, know where your audience is emotionally and then figure out what is there that forms an insecurity for them. It is only when you figure out what scares them most that you can cater to their needs. Position content in the right place: Are you utilizing all content opportunities which are available to you? Well, you don’t need to go out of the box in order to put the content at the right place but there are some other strategies to include. Include a CTA at the end of the post as this usually gains audience. Send a reminder email to the customer, utilize the mobile version of your website and ensure that the link to your next webinar is there on the homepage of your site. Delight your audience and inform them: The feeling of happy coincidence is called serendipity and if your content is full of surprise and invokes a sense of delight to the audience, you’re more likely to get a positive response from the potential customer. Hence, make sure your content always sparks delight among the audience and informs them about something new. Therefore, if you wish to stay afloat in the tough competition and beat all the algorithm updates of Google, write content which actually entices the audience. Use the tricks mentioned above and be a witness to your increased search engine rank.